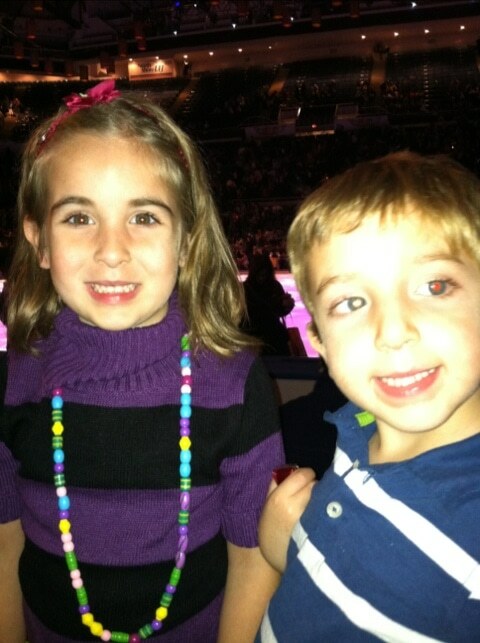 Yesterday, Bill and I took the kids to see Disney on Ice: ‘Dare to Dream’ at Nassau Coliseum. 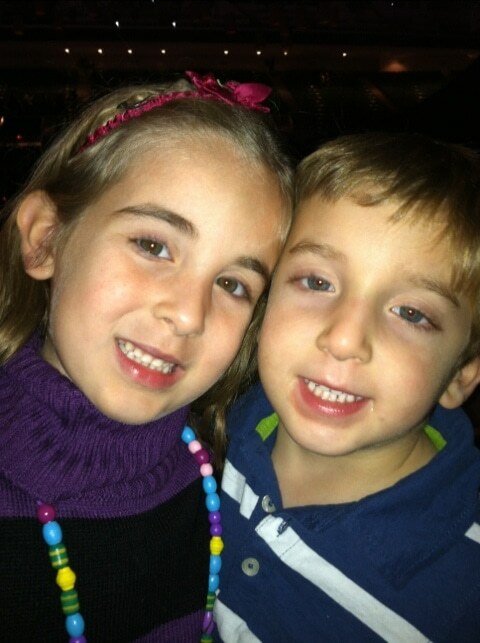 It was a 7PM show and I was afraid that the kids wouldn’t make it through the end. Who was I kidding??? That show was amazing!!! Natalie and Liam were in their glory. The lobby was FILLED with Disney goodness. 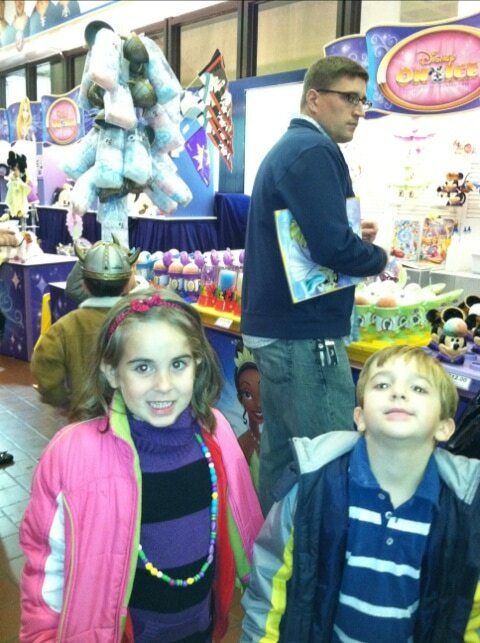 They were running around like crazy people checking out all the goods. If you have daughters – they will be in HEAVEN. PS – dress your daughter in a princess dress if you have one. 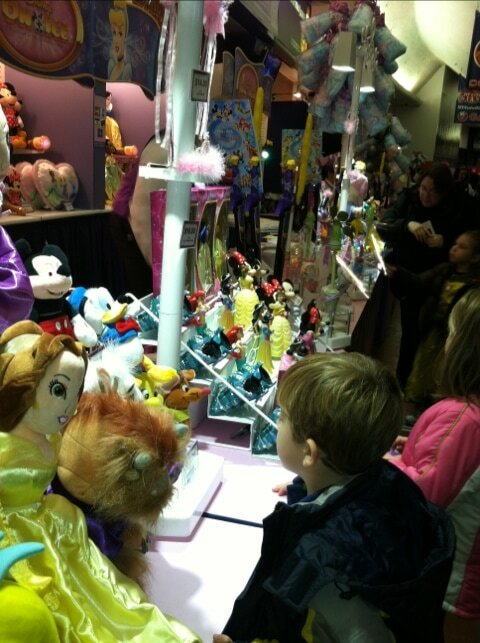 Almost all the little girls were in one…. yeah I didn’t know that. Our seats were fantastic!! 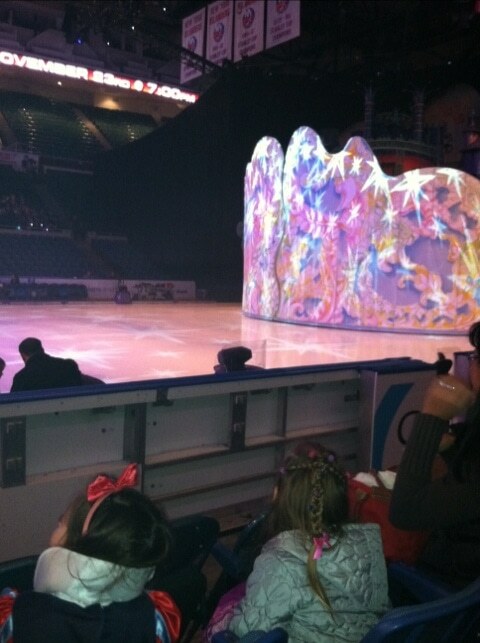 We were three rows from the ice!! 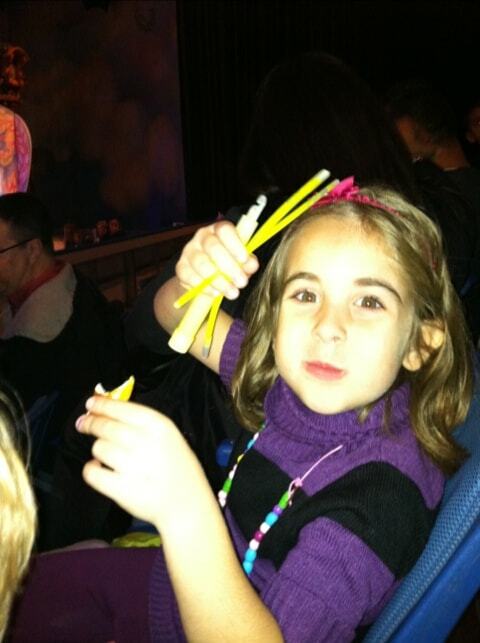 I had a few glow sticks from CVS (remember when the kids visited the store with me in their costume and they each got a goody bag?) and brought them along so the kids could have fun in the dark. Then the show began. It’s broken into three segments – Tiana, Cinderella and Rapunzel. It just got better and better. I kept telling Bill… how is Cinderella not the LEAD of this show. How can they beat this Cinderella performance??? Well…. boy was I wrong. Rapunzel and Flynn stole the SHOW. I was SO IMPRESSED! The leads would wrap themselves in Rapunzel’s hair (aka ribbon) and lift off the ice. It was so amazing. The kids were screaming! What a show. Then, the ending was another whammy! Every princess came out with their prince and danced all together. The girls went wild screaming for their favorites. It was a lot of fun and I’m glad we had the opportunity to go. As soon as the show ended, my son pretty much collapsed into Bill’s arms. You can see how tired he was in these last shots before we left. It was cute. 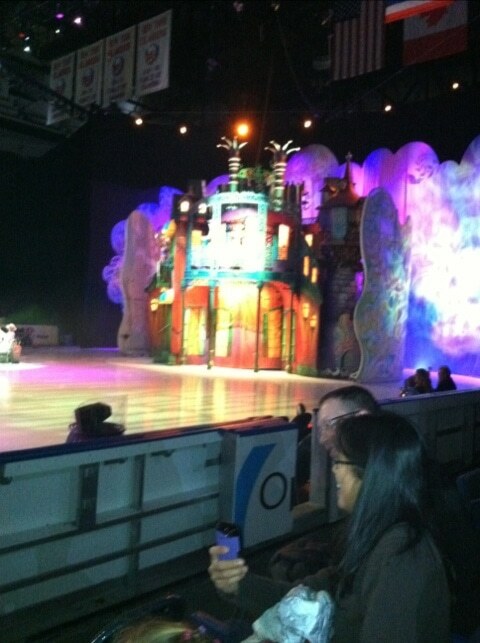 To see video from the show and to find out show times, visit ‘Disney on Ice‘. anyone remember going to the Ice Capades every February??? ?